Irish harpist and vocalist for hire. The lovely sound of Irish gut and nylon strung harp, enhanced by a fine singing voice. Traditional folk tunes and dance numbers, airs and lullabies performed instrumentally or with voice, Gina can also incorporate other musicians into her act on uillean pipes, fiddle, flutes, whistles. She also plays clarsach, the small celtic folk harp, and can cover Scottish music as well for Burns themed events. As an artist, Gina Mackey embodies grace and power. 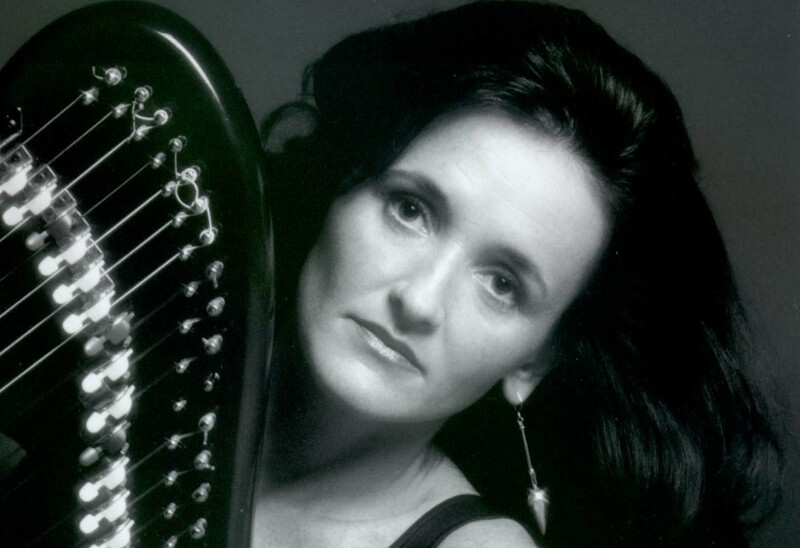 Her voice and award winning harp skills have wowed audiences across the world. Combining the best of modern and classic styles, her music pushes boundaries, creating a unique crossover style that rings with her Irish roots, but brings in all world influences. A consummate performer and musician, Gina combines the breathtaking ethereal sound of the Celtic harp with her lyrical and passionate vocal delivery to capture and move the stoniest heart. With the use of state of the art contemporary instrumentation she creates a unique balance between the traditional and the modern. Royal Festival Hall – Barbican Centre – Royal National Theatre – Theatre Royal, Bath – Twelve Bar Club – The Orange – The Mean Fiddler – The Troubadour. 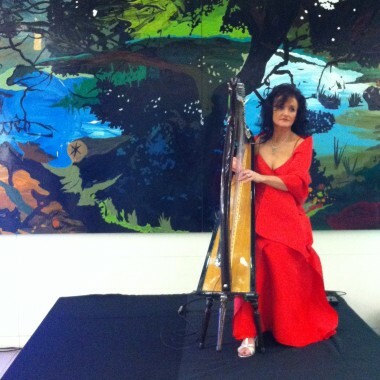 Gina Mackey has a large repertoire of light popular classics played on the harp to suit every occasion. 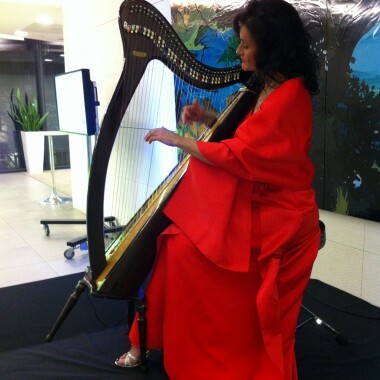 One of her harps is electric allowing her to perform at larger functions and open-air recitals. In addition to corporate and specifically Irish themed events, Gina has a wealth of experience providing beautiful harp music and a personal service for weddings however big or small. She can play at both church and civil ceremonies and/or at the drinks reception and Wedding Breakfast. She has a selection of gorgeous gowns and depending on your colour scheme, will do her best to match with her outfit.